SB 5.1.1. by HH Prahladananda Swami at the Bulgarian Camp on 18 July 2011 from Lilasuka Das on Vimeo. I usually test whether or not I’m “on track” with my Krishna Consciousness by comparing my preaching and thinking with the topics that my spiritual master covers when he visits. Generally in the weeks or months before his visit I’ll be talking about the same things that he touches on when he comes. This time I wasn’t so in sync with his thinking, but I was completely blown away by the class that His Holiness Prahladananda Swami gave when he arrived in Brisbane. It’s almost like he has been listening to the Red Hill Conversations Podcast. Sannyasa Minister Prahladananda Swami, who has been a sannyasi for twenty-eight years, says that each of the new sannyasis were especially qualified candidates. Recently, one of the four new sannyasis, Bhakti Rasamrita Swami, spoke to ISKCON News about the experience of receiving sannyasa initiation and what it’s like to be a sannyasi. The Mumbai-born former ISKCON Vrindavana temple president was a rare exception to the several year waiting process the GBC Sannyasa Ministry currently imposes, applying for sannyasa in October 2009 and being awarded it in March 2010 due to strong endorsements from many senior devotees around the world. He explains that he first went to take the customary bath at the holy Banganga pond near Chowpatty, where, it is said, Lord Rama once drew the holy waters of the Ganga by shooting an arrow into the earth. Currently based in Belgaum in Karnataka State, India, where he oversees a temple and a farm project, Bhakti Rasamrita Swami says he took sannyasa to facilitate his preaching, and because he was urged to do so by several senior devotees. He obviously understands the increased spiritual responsibilities of sannyasa, as well as the expectations of perfection that can come with the post. But he remains humble and no frills. After all, sannyasis are just people too—people who have taken on a lot of responsibility and an increased dedication to the spiritual path—but people nonetheless. Most challenging for Bhakti Rasamrita Swami is trying to fulfill the requests of devotees all over the world to visit and preach in their area, on top of his existing responsibilities. Apart from overseeing his farm project in Belgaum, he spends a lot of his time giving classes and meeting with devotees, helps with the development of communities and brahmachari ashrams, and has initiated a project to help ISKCON temples in India become eco-friendly. He is also working on a two-year course for new brahmacaris (celibate students)—which can be adapted to suit the needs of other devotees. And he’s developing new materials to be used in outreach efforts. So life is busy. And maintaining good health amidst so much activity and traveling can be difficult. Considering the high amount of stress and the stellar expectations inflicted on sannyasis, it’s important that sannyasa candidates are extremely qualified and genuinely dedicated to the service of the Lord for this post highly respected in Vaishnava culture. 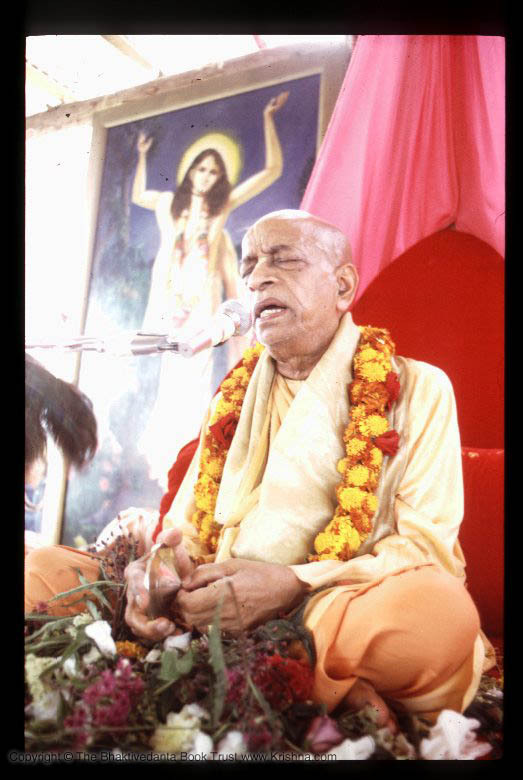 Since in the past, many devotees who have accepted the role of sannyasa have had difficulty maintaining their vows—creating controversy and scandal—ISKCON responded by developing a system that better ensures the maturity and qualification of candidates. “Our assessment of a sannyasa candidate is an elaborate process that has become more rounded with various evaluations—personal, as well as from peers, subordinates and superiors,” says Sannyasa Minister Prahladananda Swami. New candidates are sysemtatically assessed by the GBC Ministry for Sannyasa Services every year at the GBC General Meeting in Mayapur, and recommendations are given to the GBC Body. Every candidate must have a sponsor, usually a senior devotee in their location. The sponsor must hand in an initial report of the candidate’s qualifications according to the GBC Rules of Order, "The Qualifications for Sannyasa." The candidates must then fill in a thorough application form which includes age, marital status, a devotional career resume, a letter explaining their reasons for wanting to take sannyasa, information about any criminal record, and information about their opinions on certain controversial subjects. It is held in high importance that sannyasa be taken responsibly. For instance, if a candidate was previously married, they must provide legal separation or divorce papers, explain how their former wife and children are currently maintained, and even include a written statement by their wife that she is in agreement that her former husband is taking sannyasa. They must also sign an oath of loyalty to ISKCON, and give names of ten senior devotees who will vouch for their qualification to accept sannyasa and five others whom they can trust to act as their mentors. They must also pass scriptural tests—passing the Bhakti Sastri exam is a minimum qualification for sannyasa application. After all this, if the candidate is accepted, they don’t take sannyasa immediately, but go on a waiting list according to their age—at forty-five, the wait is three years, at forty, it’s four years, and at thirty-five, five years. Once they do take sannyasa, their sponsor must send in annual reports on them, as well as making sure that any discrepancies on their conduct, behavior or attitude are rectified. Each year, the new sannyasis themselves must also submit reports on their preaching, devotional practices, and finances. All this ensures that the sannyasa ashram is protected and thrives within ISKCON. And Prahladananda Swami feels that this is a very important thing. “Good sannyasis give our society good examples of dedicated and detached service to Lord Caitanya Mahaprabhu’s sankirtan movement,” he says. And so as we go forward into 2011, we welcome these four new sannyasis, and future qualified renunciants approved by the GBC. Meanwhile, the sannyasis themselves keep their sights trained on the essence of their new post. “I just hope that I continue to be a humble instrument of this mission for the pleasure of the Lord, our disciplic succession, and all the Vaishnavas,” says Bhakti Rasamrita Swami.